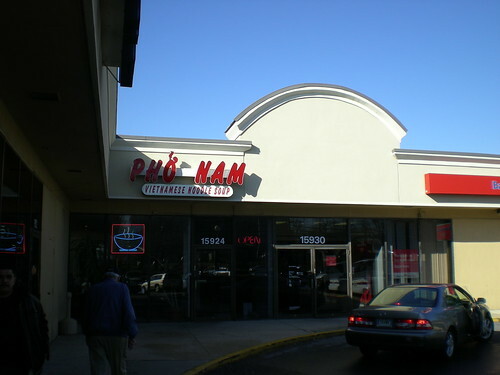 Pho Nam Vietnamese Restaurant, originally uploaded by shashiBellamkonda. I have been here 4 to 5 times. Always friendly wait staff. its been always busy. The soup is the reason you come here. I am not sure about any other hot dishes. Parking can be a problem during peak times. The building is shared by the Bank of America. Turn into Gaither Road for best access.